Cubecrate March 2017 was a Sleeping Theme Box, could you guess what’s inside the mysterious monthly subscription box? 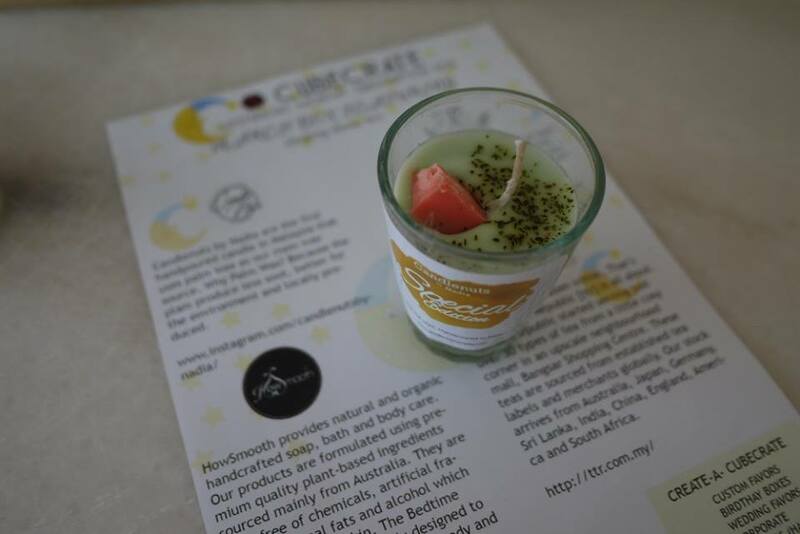 Tada.....here you go.... just scroll down to read more ok.
Firstly, a mini candle from Candlenuts by Nadia. As the first handpoured candle in Malaysia that uses palm wax as main wax source, it produce less soot, better for the environment and locally produced in Malaysia. 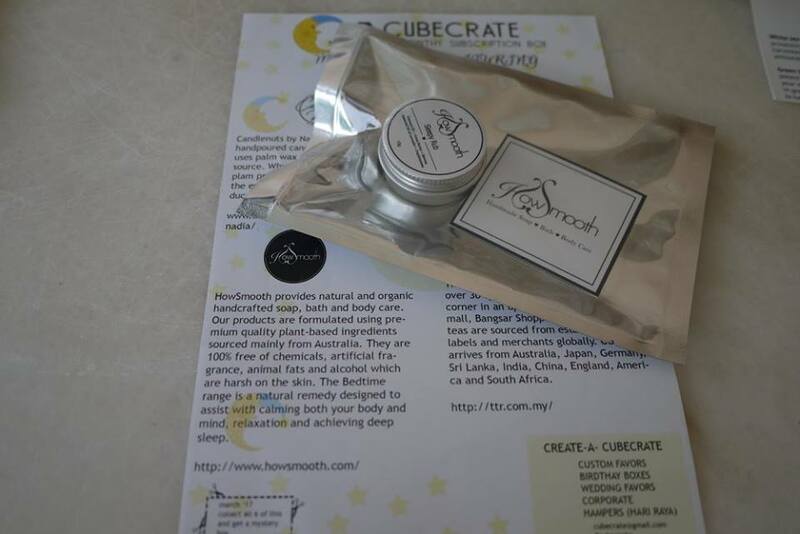 Next, a small pot of sleepy rub (10g) from a new brand – HowSmooth. HowSmooth products include natural and organic handcrafted soap, bath and body care. Their products are formulated with premium quality plant-based ingredients mainly source from Australia. They are 100% free of chemicals, artificial fragrance, animal fats and alcohol which are harsh to the skin. The Bedtime range is a natural remedy designed to assist with calming your body and mind, relaxation and achieving deep sleep. 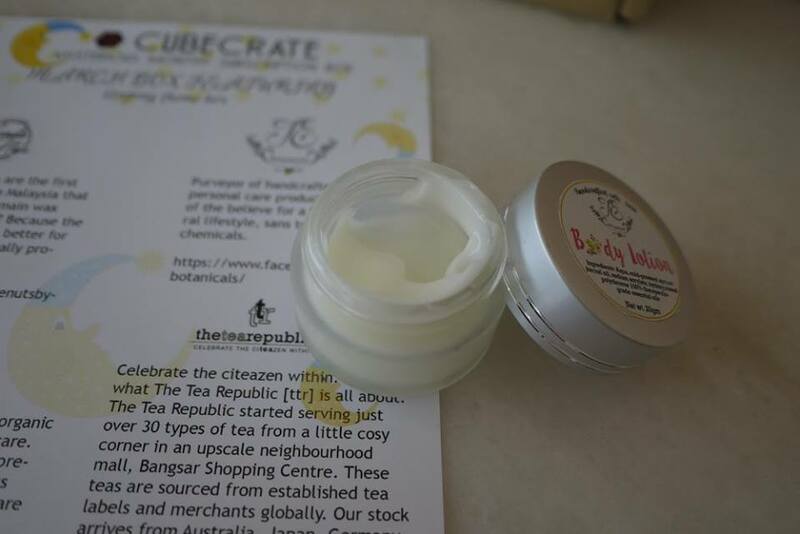 There’s also a pot of body lotion (20g) from J & E Botanicals. Established in 2016 by two ladies who embarked on a journey to lead a better & more natural lifestyle - putting together plant-based & herbal ingredients into handcrafted home & personal essentials for all households & individuals to use on a regular basis. All J & E Botanicals’ products have been sourced, hand-tested and handcrafted by the creators. It is Paraben-free, SLS & SLES-free, DEET-free, Synthetic fragrance-free, Petroleum-free, Toxic & synthetic chemical-free. 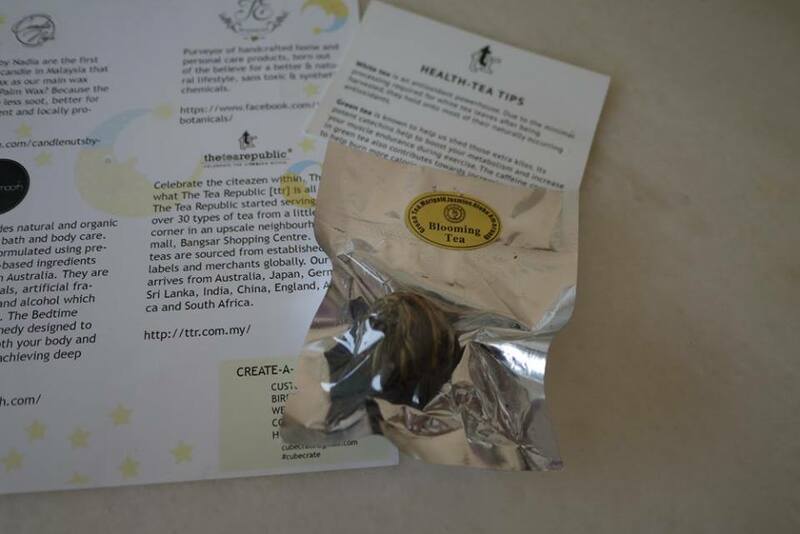 The only food item in Cubecrate March 2017 box is a piece of blooming tea from The Tea Republic (ttr). Celebrate the citeazen within. That’s what The Tea Republic [ttr] is all about. The Tea Republic started serving just over 30 types of tea from a little cosy corner in an upscale neighbourhood mall, Bangsar Shopping Centre. Since then the number of teas offered in the tea lounge at present is just over 50 and growing. These teas are sourced from established tea labels and merchants globally. Our stock arrives from Australia, Japan, Germany, Sri Lanka, India, China, England, America and South Africa. 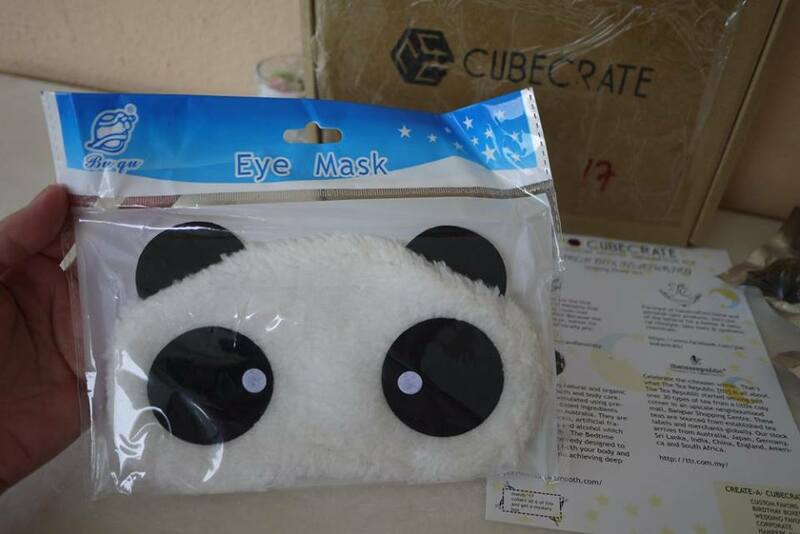 Last but not least, Cubecrate has included a very cute panda eye mask in their March edition box. The eye mask is so lovely and I have good night sleep with it. 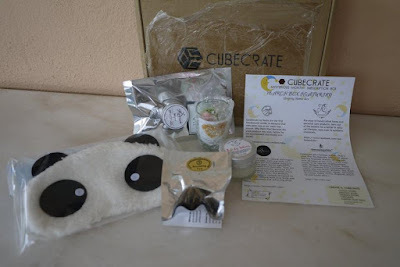 Wow i like the products in this box. The mini candle from Candlenuts by Nadia is so lovely.